Remember those hours you spent researching home loans before buying your home or investment property? You were excited about the upcoming purchase and trawled the internet for the best deal, or spent hours with a mortgage broker pinpointing the perfect home loan for your circumstances. That may have been a few years ago now. Your needs may have changed and, just like your electricity, mobile phone and internet bills, it’s a good idea to give your home loan a health check. Do you still use all the loan features and benefits? It’s beneficial to evaluate your home loan every year and, if it’s no longer suiting your needs, consider refinancing. It’s important to consider any costs or fees that may apply if you do break your existing loan contract before it ends though. Refinancing your home loan may unlock a lower interest rate, meaning you could pay less interest over the life of your loan. This may decrease your repayments and put more money back in your pocket. Consider all the loan benefits and fees when comparing interest rates and take any interest you’ve paid so far into consideration when calculating if you’ll save money in the long run. If you’re holding onto credit card and/or personal loan debts, as well as your home loan, you may consider rolling all the debts together. It’s called ‘debt consolidation’ and works on the principle that home loan interest rates can be lower than some credit card or personal loan rates. Ultimately debt consolidation turns short term high interest debts into longer term, lower interest debts. #3 - Coming to the end of a fixed term? Introductory fixed rate terms can be really enticing when you first apply for a home loan. However, the rate the home loan defaults to after that introductory period may not be as competitive. If your fixed interest rate term is nearly up, it’s a great reason to consider refinancing your home loan. Shopping around for a new deal to lock in another rate or switch to a competitive variable rate could save you thousands. 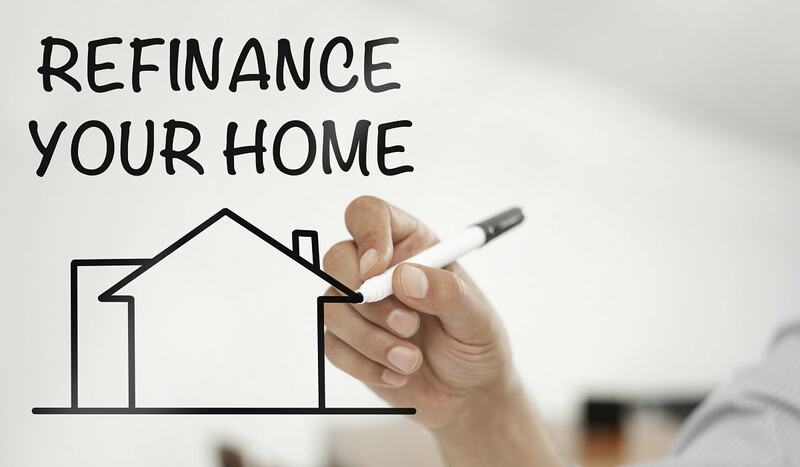 If your income and expenses have changed, it may be a good time to consider refinancing your home loan by looking to alter the length of your loan period. Extending the loan period can reduce your monthly repayments now; but may cost you more over the life of your loan. This may be a helpful solution if cash flow is your main priority right now. Shortening the life of your loan may increase your repayments now but may also potentially save you thousands in interest over the life of your loan. Both choices have their pros and cons so make sure you do your homework and speak to your financial institution about your options. Refinancing to a home loan with added benefits, such as our Qudos Bank Qantas Points Home Loan or Low Cost Home Loan (Value Package)*, may unlock benefits that could save you money and add to your lifestyle. Credit card fee waivers, insurance discounts and complimentary financial planning could save you money and add to your financial education. Earning Qantas Points could help you take that holiday you’ve been dreaming about. Package home loans usually attract an annual fee, so it’s important to consider this when deciding whether the added benefits are suitable for you. Consider what you really need and want from your home loan and review the benefits of different products to find your ideal loan. If you’d like some assistance reviewing your current home loan, call us on 1300 747 747 to speak with one of our lending specialists. All Qudos Bank loans are subject to approval. Normal lending criteria and fees and charges apply. Terms and conditions apply and are available on request. Mortgage insurance is required for home loans over 80%and is subject to approval. You should read and consider the relevant Terms and Conditions and our Financial Services Guide before deciding to obtain any of our financial products and services. These documents are available on our website or by calling 1300 747 747. *A package fee of $395 is payable annually.